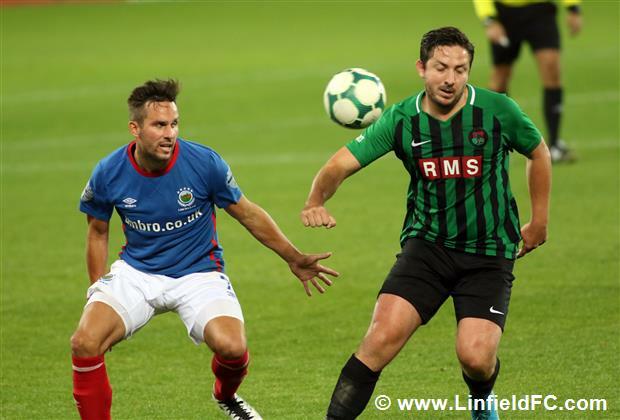 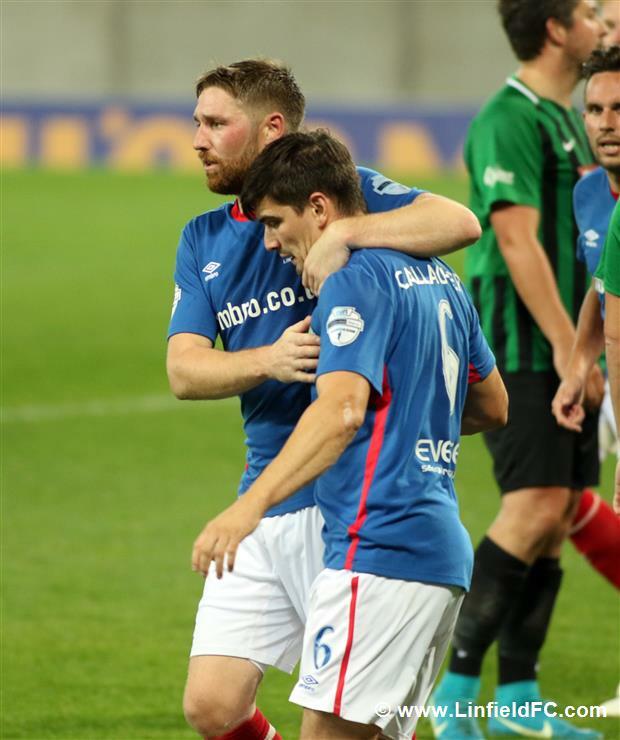 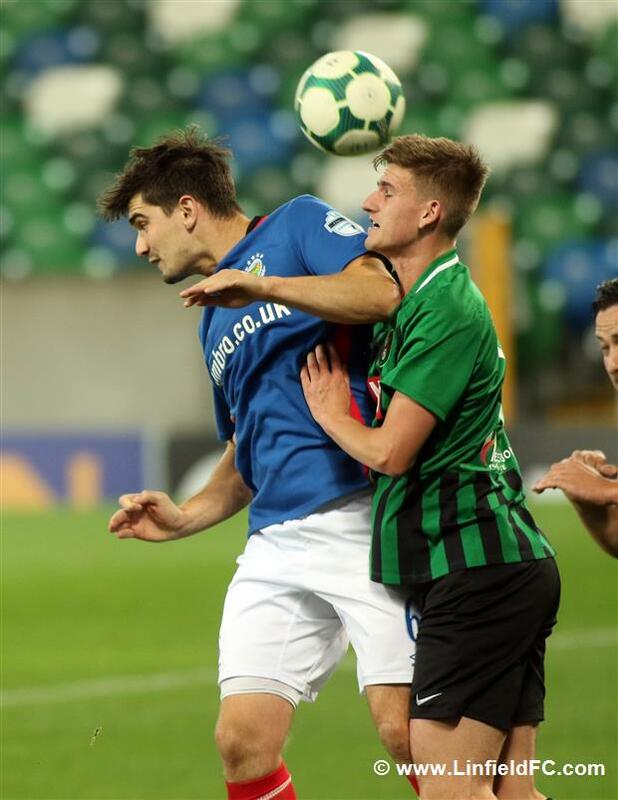 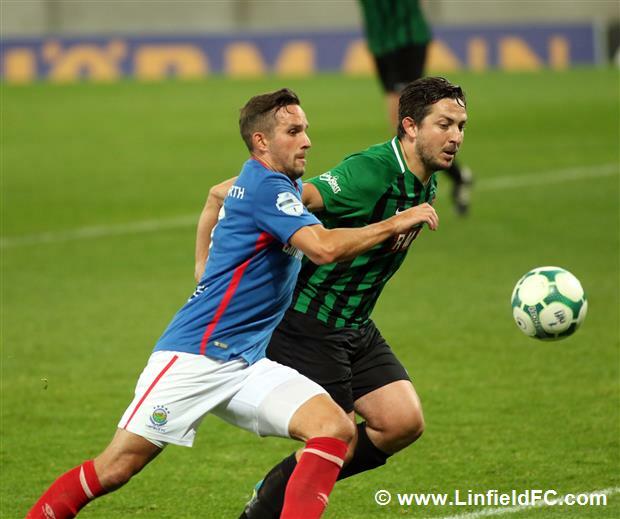 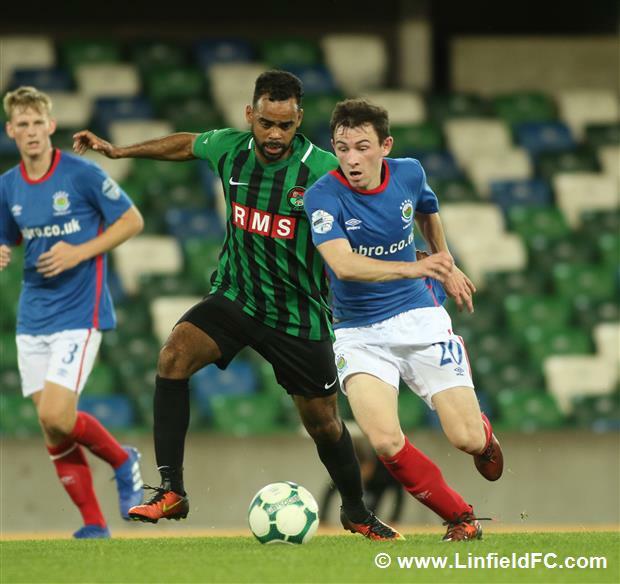 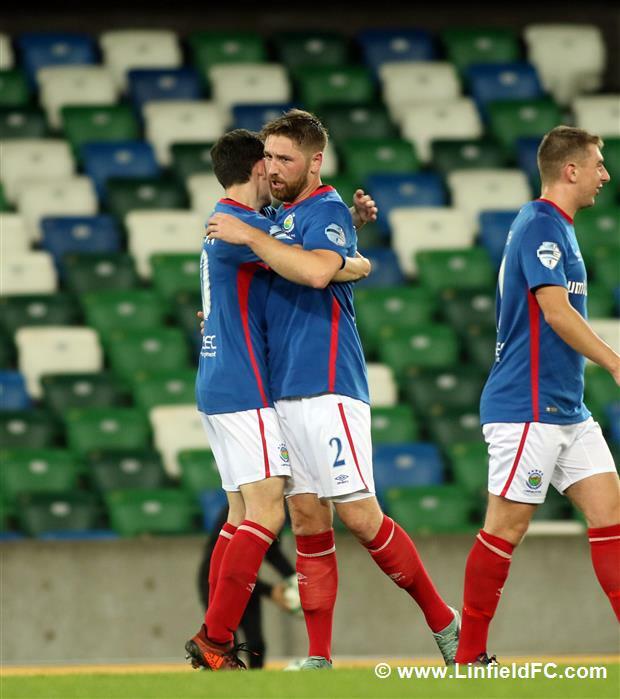 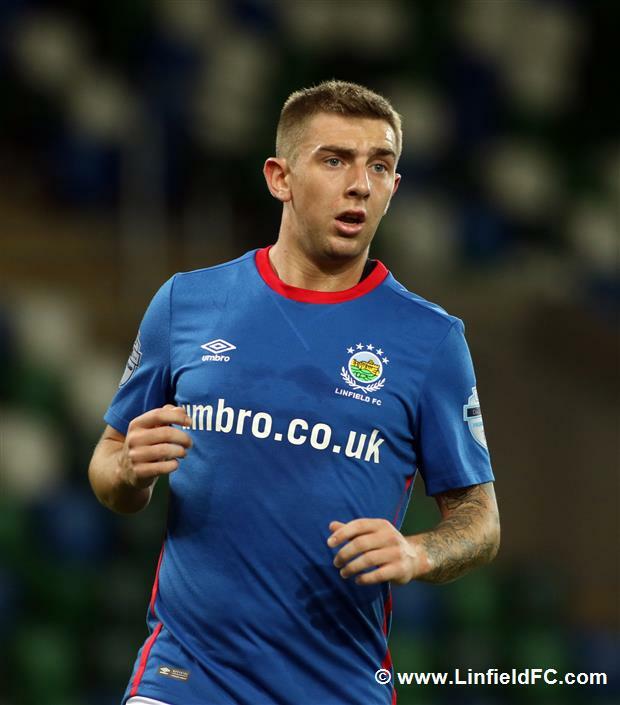 Linfield edged out PSNI in a tightly-contested game under the Windsor Park floodlights to set up a ‘Big Two’ derby clash with Glentoran in the Quarter Final of the County Antrim Shield. 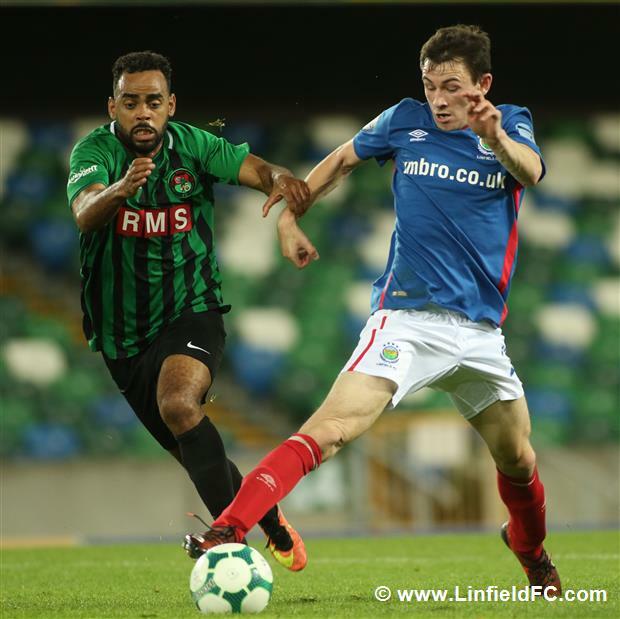 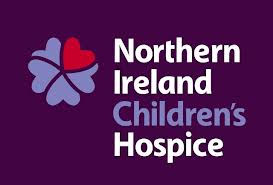 It was a much-changed Linfield team from Saturday’s team which defeated Dungannon Swifts, with eight changes to be precise. 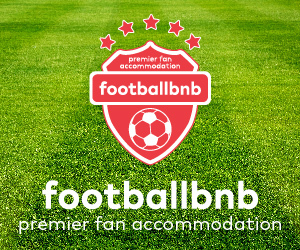 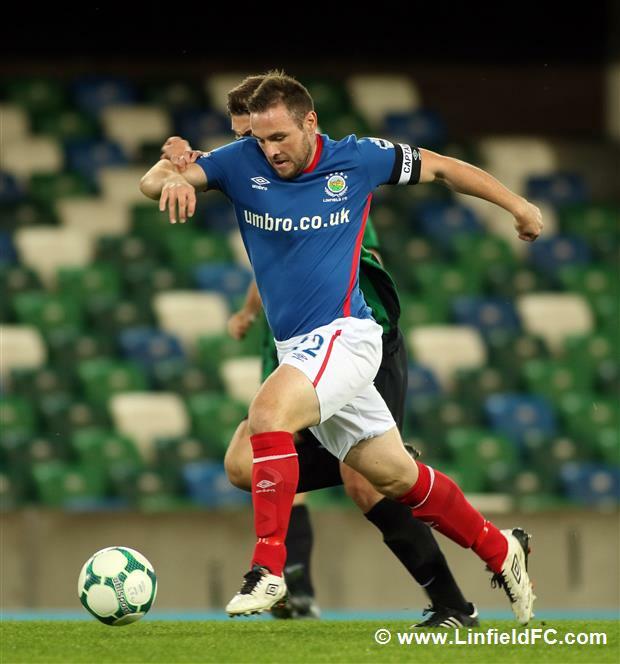 Gareth Deane, Mark Stafford, Stephen Fallon, Jamie Mulgrew, Benny Moller Nielsen, Niall Quinn, Jonathan Smith and Andy Waterworth all came into the eleven, allowing a number of players to get more match fitness under their belts. 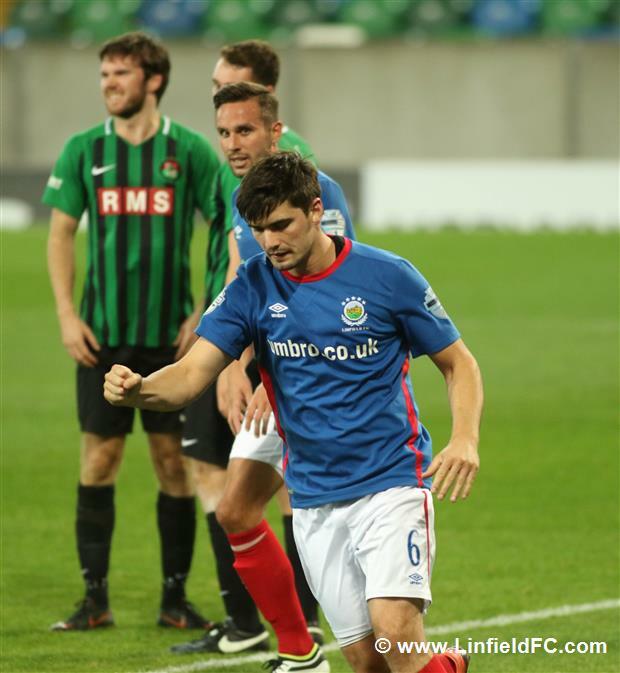 The Blues opened the scoring after 25 minutes from a corner after Jamie Mulgrew’s drive from distance was pushed behind. 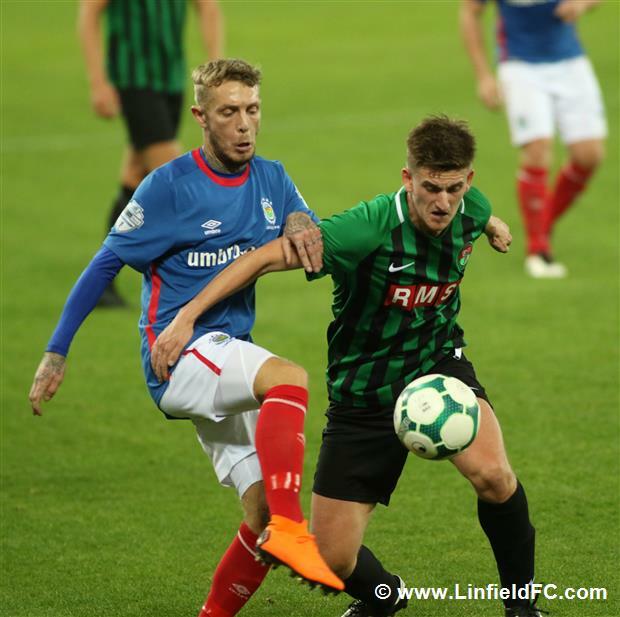 Niall Quinn delivered a dangerous corner and Mark Stafford headed home on his return to the team for his second goal this season, in what was his fourth appearance of the season. 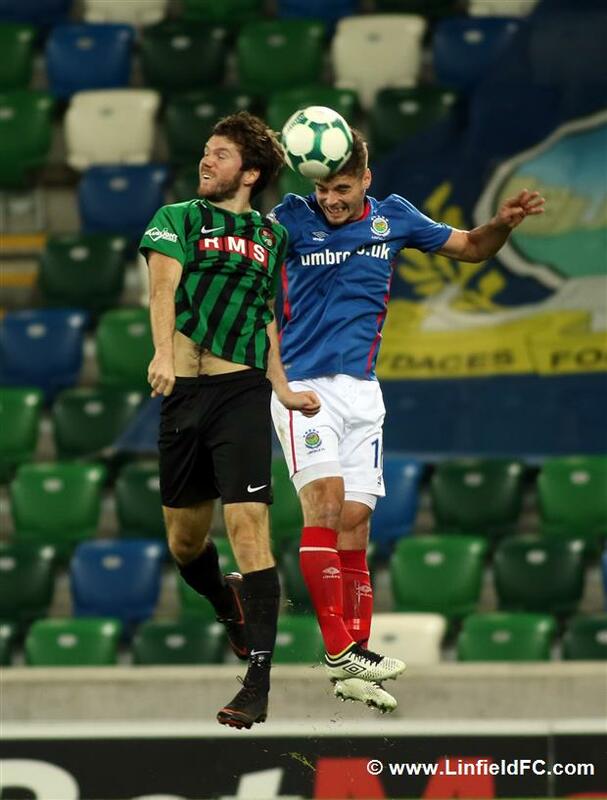 Chris Casement had threatened early on after being sent through by Stephen Fallon, but he fired a shot wide. 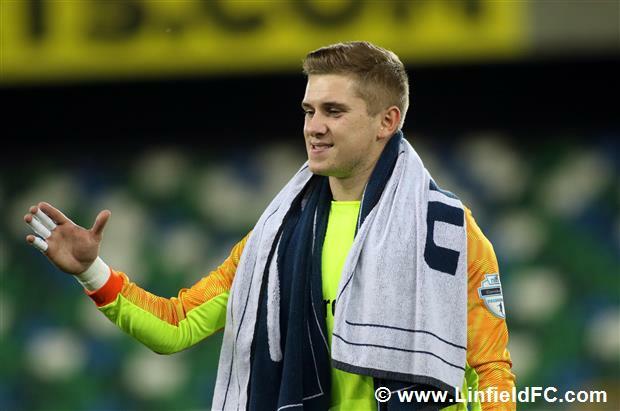 Jonathan Smith also fired over from distance, before Fallon forced the goalkeeper into a save. 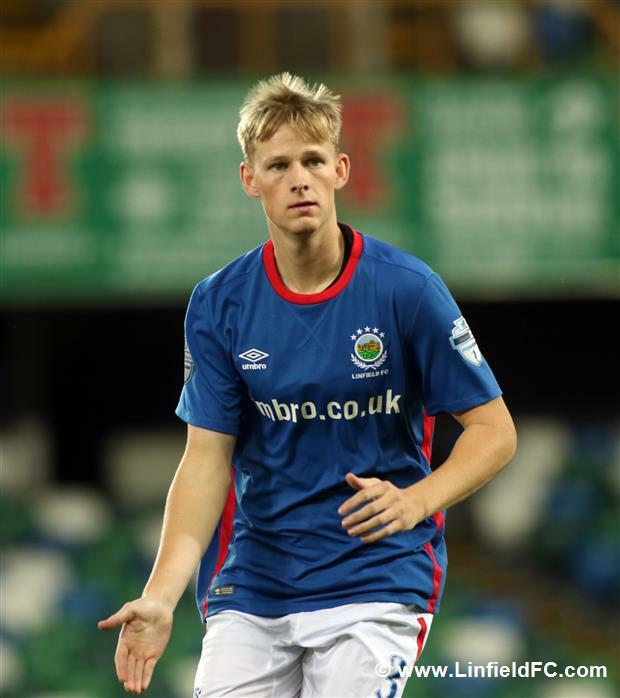 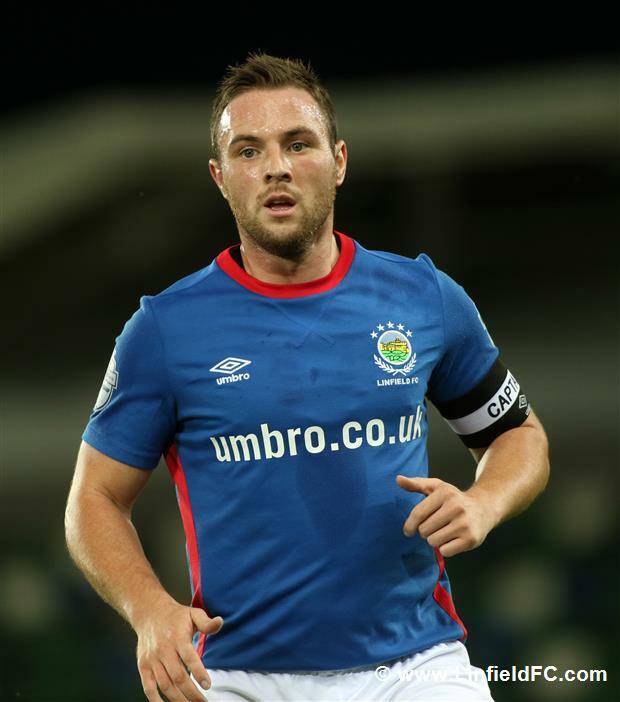 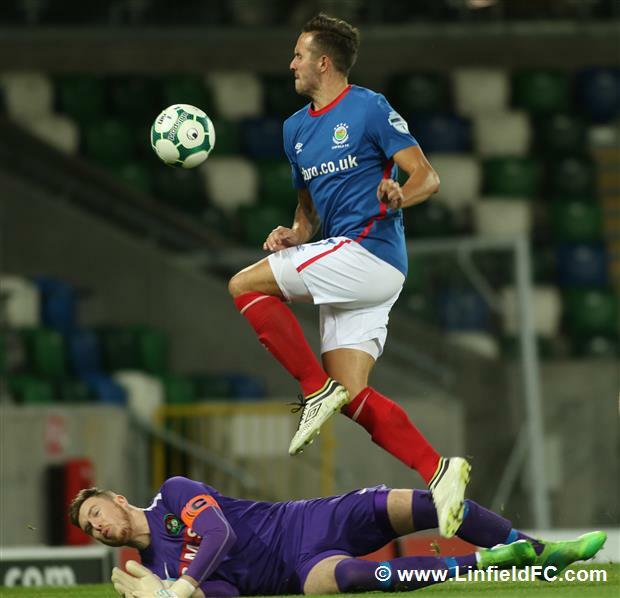 Blues skipper Jamie Mulgrew was denied after half an hour when his shot was cleared off the line, before Benny Moller Nielsen forced the goalkeeper into another save on his first Linfield start. 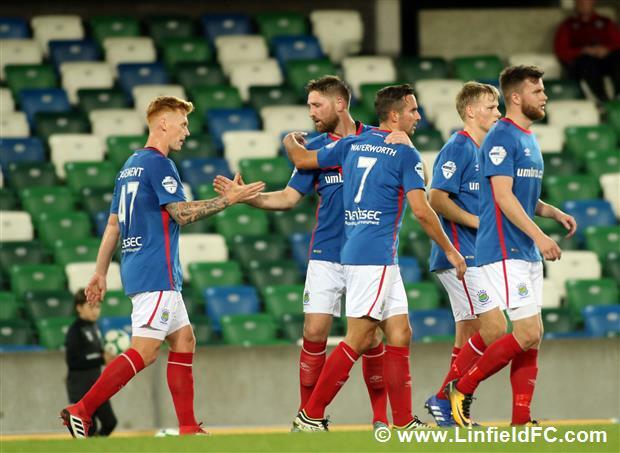 The visitors drew level five minutes before the break when Mark Anderson arrowed a shot from wide left into the far top corner past Gareth Deane to end Linfield’s run of clean sheets. 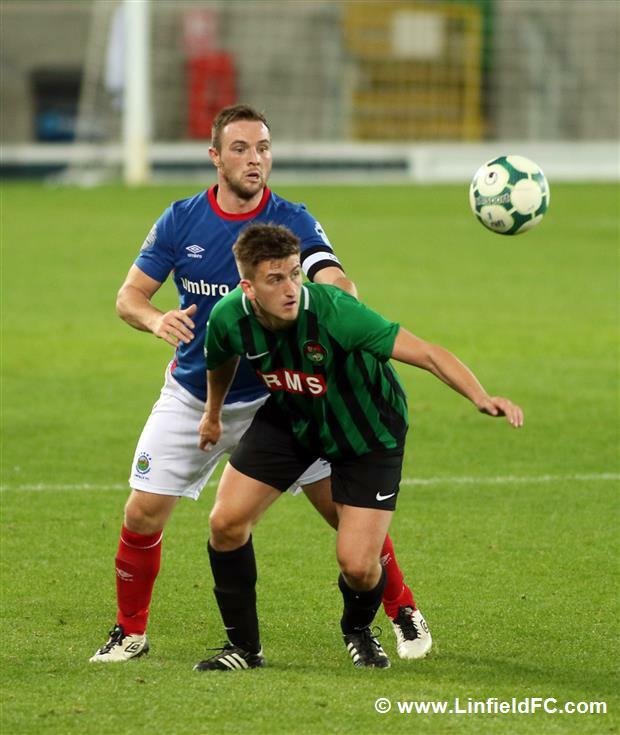 PSNI had ambitions of causing an upset an drew a good save from Gareth Deane early in the second half, otherwise they would have taken the lead. 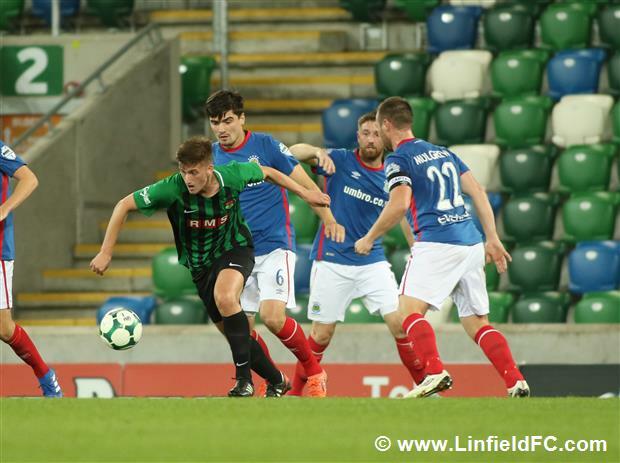 Midfielder Jake McNeill’s effort had to be pushed smartly around the post by 24 year-old Deane for a corner which was ultimately cleared. 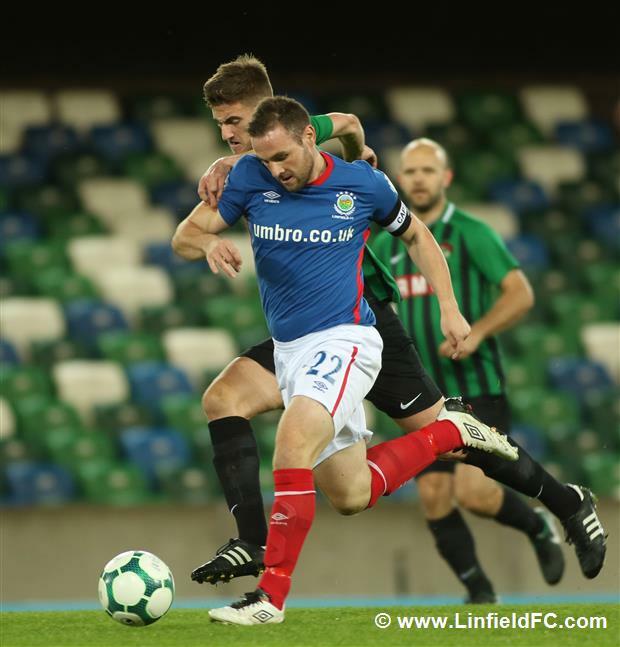 PSNI mounted a sustained spell of pressure on Linfield with a series of corners but the Blues defended well and almost went ahead at the other end when Mark Stafford met Kirk Millar’s corner but he sent his effort over the bar. 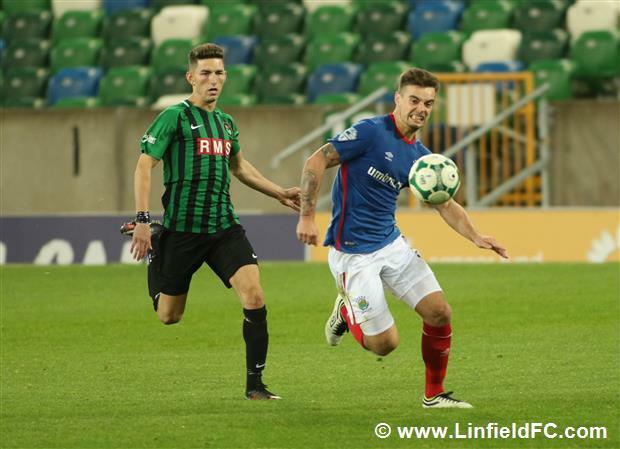 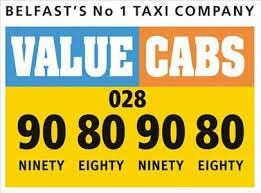 Linfield did get themselves back in front of 71 minutes, however. 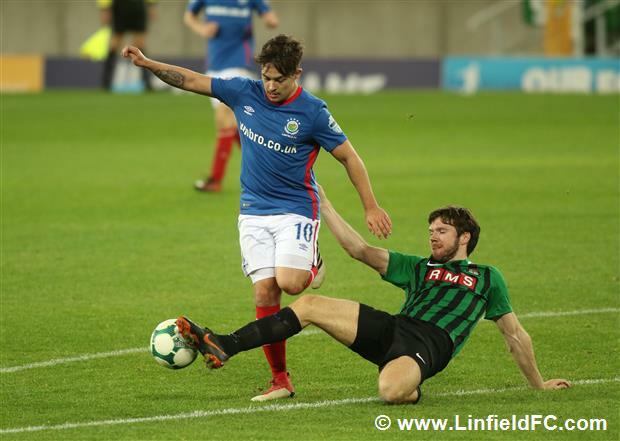 It was very much the night of the central defenders as Jimmy Callacher converted from a Niall Quinn corner for what would turn out to be the winning goal, in remarkably similar fashion to Stafford’s opening goal. 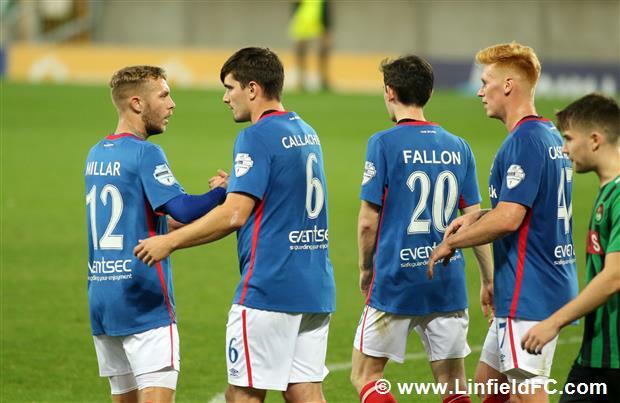 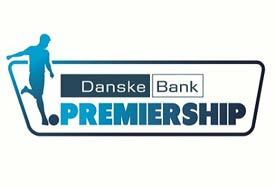 The Blues were able to see out the victory to keep up their unbeaten start to the season, with a tricky trip to Coleraine next on the agenda this Saturday.